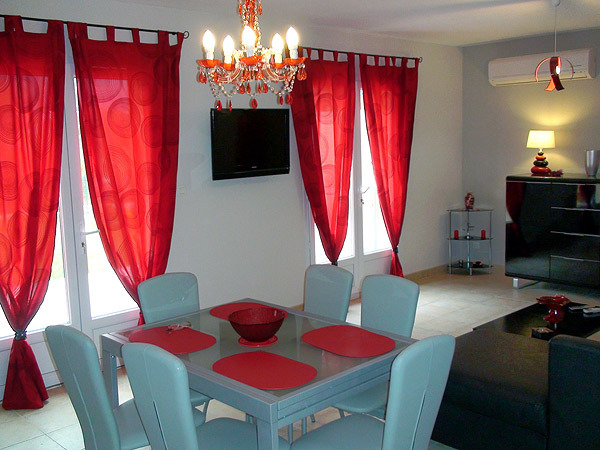 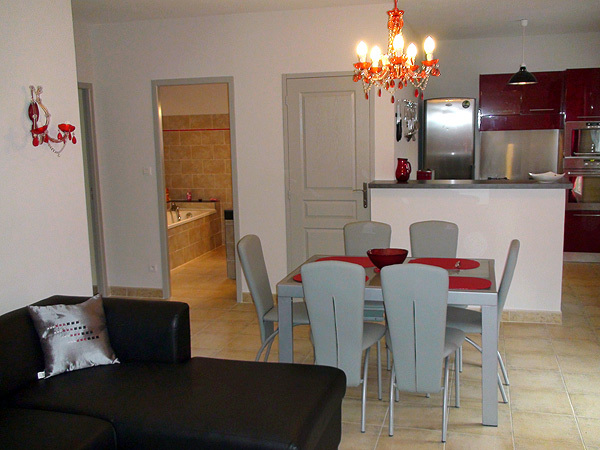 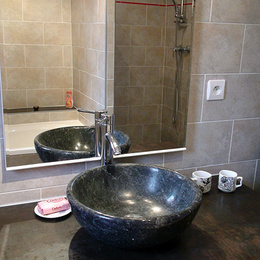 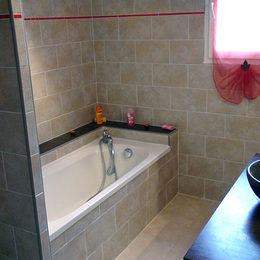 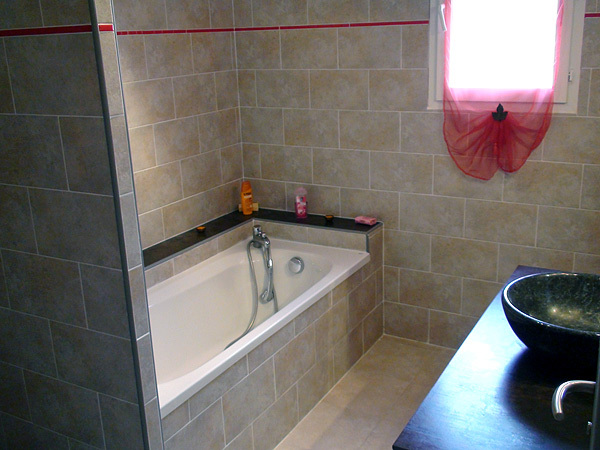 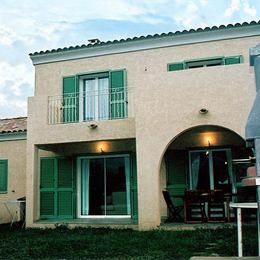 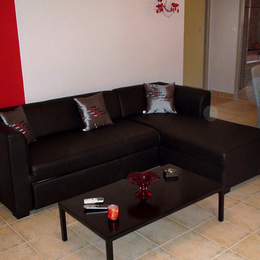 Air conditioned 3 room house (80m²), 3 km from the sea and Saint-Florent. 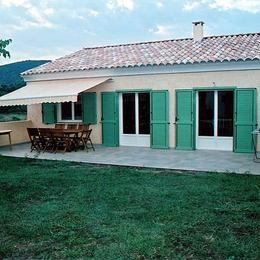 Covered terrace with outdoor furniture and barbecue, enclosed garden, parking. 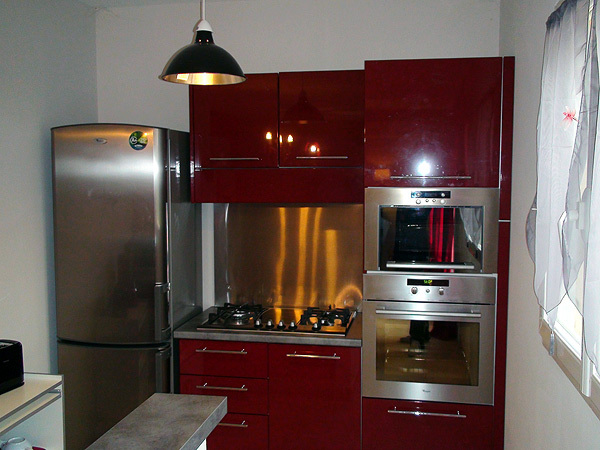 Living room with 140 cm convertible, TV; open kitchen with oven, microwave, dishwasher; washing machine in laundry room; bathroom + shower; separate toilet; 1 bedroom with two 90 cm beds; 1 bedroom with 140 cm bed. 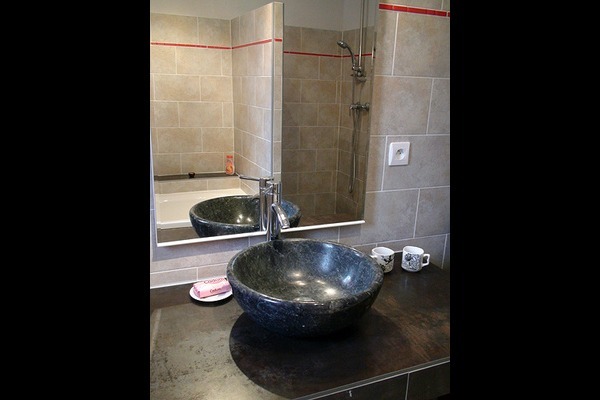 Linens and towels supplied. 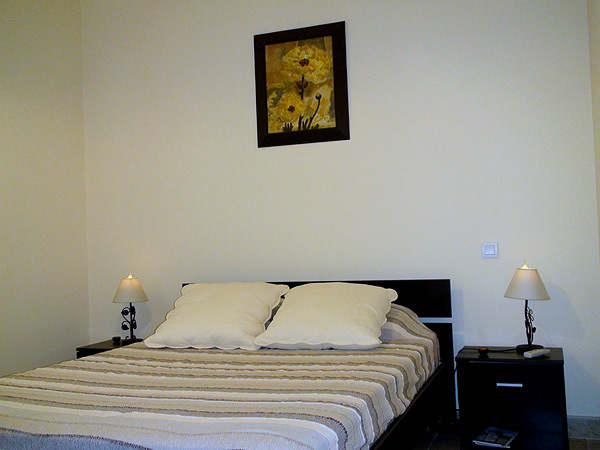 Reduced rates for extended stays. 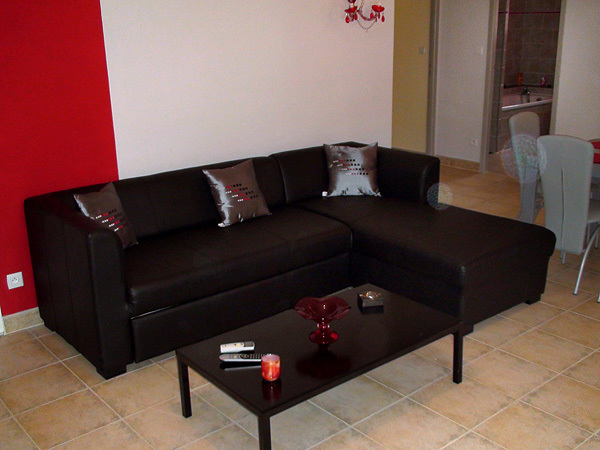 Rentals on a daily basis possible with 2 night minimum for 2 or more guests.